It was Kane’s 14th goal in his last 14 games. He has seven goals and 13 assists during an eight-game point streak. NOTES: Blackhawks D Henri Jokiharju was a healthy scratch. The 19-year-old Jokiharju has no goals and 12 assists in 36 games in his first NHL season. “We’ve got some young players. Eighty-two game season, it’s hard to keep that level night-in and night-out,” Colliton said. 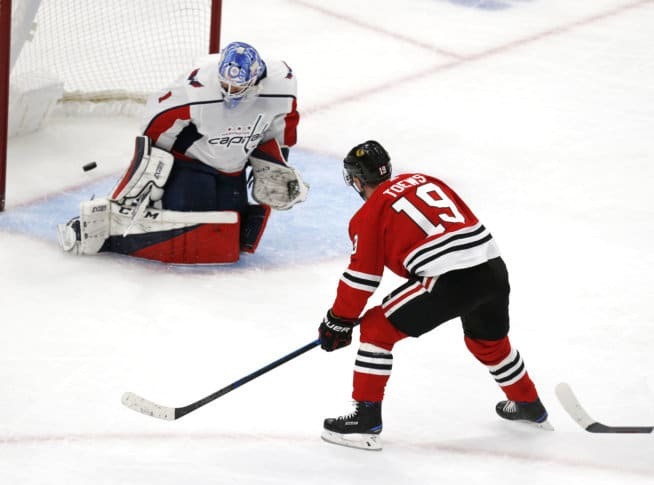 “So we may end up with a rotation where they’re able to, it’s not necessarily performance specifically why they’re coming out.” … First-year Capitals coach Todd Reirden is from nearby Deerfield, about 30 miles north of Chicago. “I didn’t have to get a lot of tickets. I do have a lot of passes,” a smiling Reirden said before the loss.